Musicians making whiskey has become the in thing to do in recent years, and much to my surprise, a lot of this has been pretty good. (Some, however, has not.) 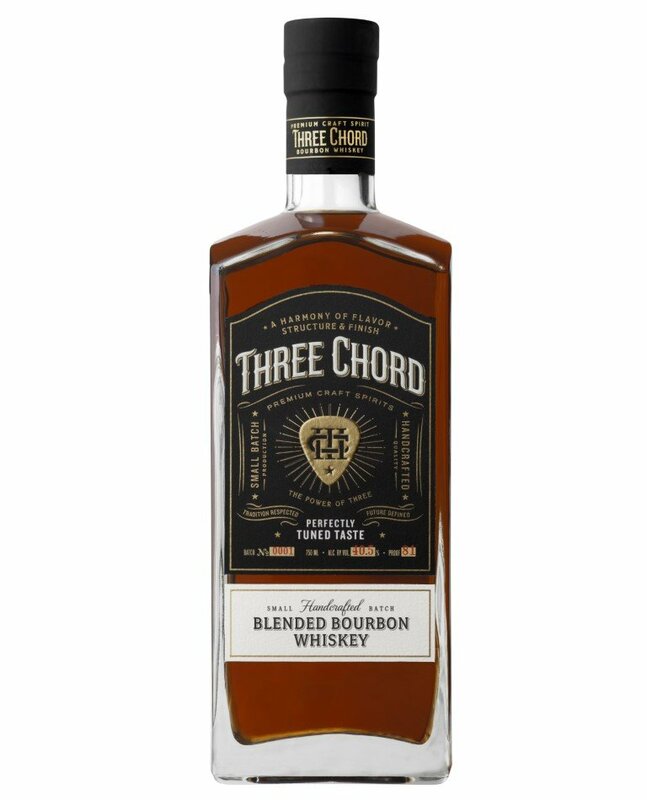 Three Chord Blended Bourbon is a project from musician/producer Neil Giraldo (he’s also married to Pat Benatar and produced “Love is a Battlefield”). If you like your whiskey with a big story behind it, you’ll love Three Chord. It’s sourced whiskey, with a variety of casks coming in from both Kentucky and Tennessee (not Indiana, one should note). The starter whiskey is initially aged between 4 and 12 years, the mash containing 75% corn, 22% rye, and 4% malted barley. (It’s unclear if all the sourced whiskeys adhere to this high-rye mashbill, or if that’s a representative mashbill, an average, or something else.) Now, after this sourced spirit is brought in, it goes into new barrels — “American Oak from the Missouri Ozarks charred to a precise temperature” — which are put through “a proprietary process that applies tonal vibrations to the aged bourbon blend.” In other words (shades of Blackened and many other spirits), they play music at these new barrels. Things kick off with a nose that seems at first fairly traditional, with ample vanilla and caramel, though it soon folds in some distinctly savory notes of dill and graphite, and that sweet-meets-funky kick of blackstrap molasses. Over time, notes of fennel and black olive emerge. Lots going on here. The palate is quite dry, with significant barrel char, cloves, and a caramel corn note. As the palate builds, the wood influence grows but it never becomes overwhelming, integrating well with a light sweetness that finds notes of chocolate building, tempering the wood. The finish finally finds some of that rye spice dominating, giving the finale a bit of a gingersnap kick and another dash of dark chocolate. All told, this is a far more complex whiskey than I was expecting, one that goes well beyond what may seem like a bit of a gimmick and into solid, everyday drinker territory.